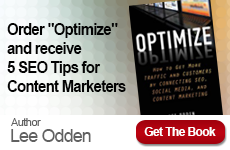 That’s right, we “wrote the book” on integrating SEO, social media and content marketing. Optimize is a holistic approach to Search, Social Media and Content marketing that is essential for a successful online marketing strategy. 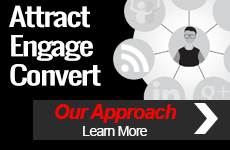 The principles in Optimize form the core of the TopRank Marketing approach to holistic digital marketing and have helped numerous brands create modern digital marketing programs and amplified results. But we didn’t just write the book integrating search, social and content marketing – we live it. An “Optimize” approach to online marketing involves a continuous cycle of data informed marketing planning that targets specific customer groups to achieve real business objectives. Continuous performance optimization is “baked in” to the Optimize process. 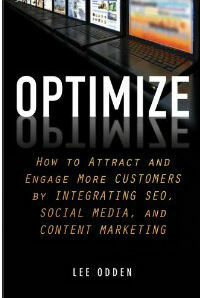 If you want a jump start on exploding your digital marketing performance, get the this book. Read it. Share it with your team. Then contact TopRank Marketing for help with refining your strategy, implementation and ongoing performance optimization that will help you exceed and stay ahead of the competition.